Ever since I started blogging I have been thinking about “the backbone” of blogging. Not the words or the pictures but the blog itself. The technology that holds it all together is often the bit that just gets in the way. But you can make the technology work for you! You can make your blog more useful, easier to use and hopefully more profitable. And I intend to help you do it! First we need to work out what features people like and use, which features they don’t like and avoid. I have written a short questionnaire which hopes to find out about how you use food blogs, how you keep up to date, what you like and what you don’t like. The questionnaire does not ask what age you are, salary bracket, or how many “lifestyle” magazines you buy a year – because what we want here is changes to make to food blogs. If it isn’t going to end up with a definitive course of action, then it’s not worth asking. So you might wonder what I am planning to do with all the wonderful data you have provided. I will make all the raw data available (apart from contact details) to anybody who wishes to see it and form their own conclusions. However hopefully more usefully I will write a series of short blog posts highlighting key findings, and what changes you should think about making to your blog. A questionnaire in itself isn’t going to help anyone. I need people to fill it in, that’s where you and a recipe book giveaway come in! 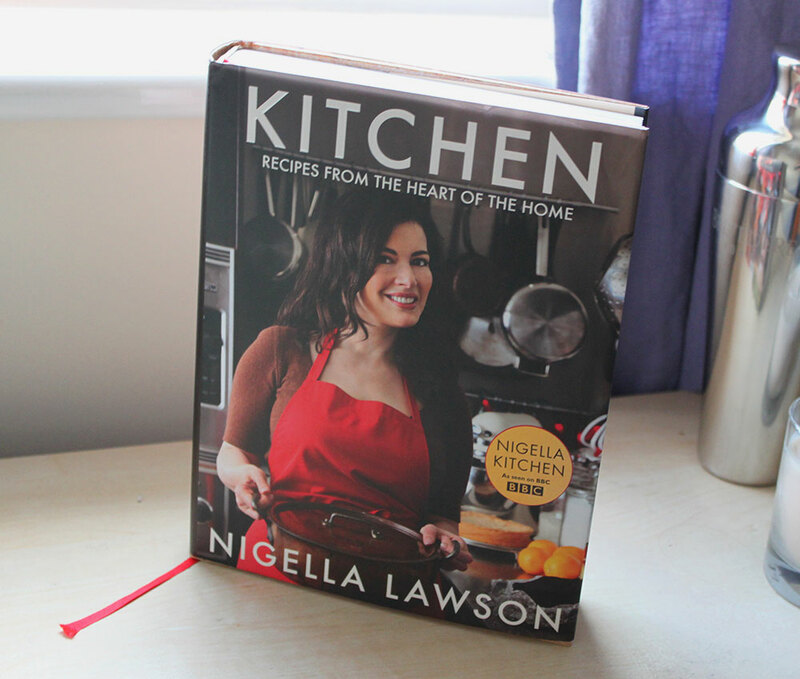 Open to everyone who fills in the questionnaire (including those outside the US and UK) there will be an opportunity to win a copy of the new Nigella cookbook “Kitchen”. To enter you need to fill in the How do you use food blogs Questionnaire. This giveaway isn’t funded by any company, I chose this book because I love it, and as a small incentive to help people get involved. To enter all you need to do is provide an email address when completing the questionnaire. The winner will be selected at random. If you want more chances to win, those of you who tweet the following will be given 1 extra chance to win. Leave a comment below saying that you have tweeted the link. (Tweets will only count as second chances, you must fill in the questionnaire to have a chance of winning). The giveaway and questionnaire will be open for 2 weeks. At that point I will announce the winner and start the analysis of the results! Lastly I just want to say thank you to all of you do end up taking part. It is much appreciated, and hopefully everyone within the food blogging community will benefit from this whether as a reader or a blogger.